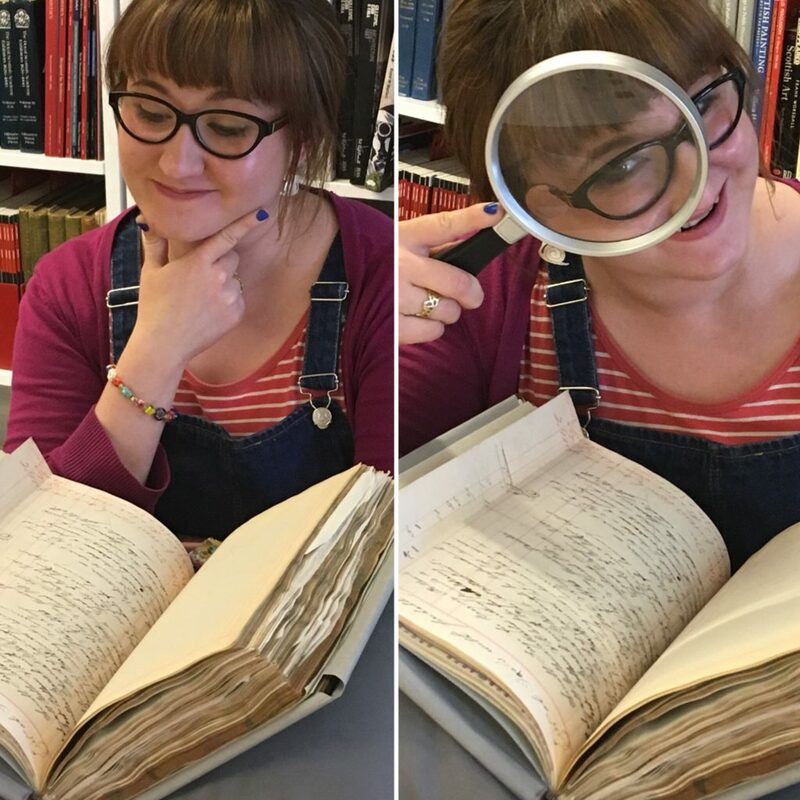 Archives and Collections Assistant Cat Doyle shares a fascinating discovery she made last week when retrieving records for a research group! 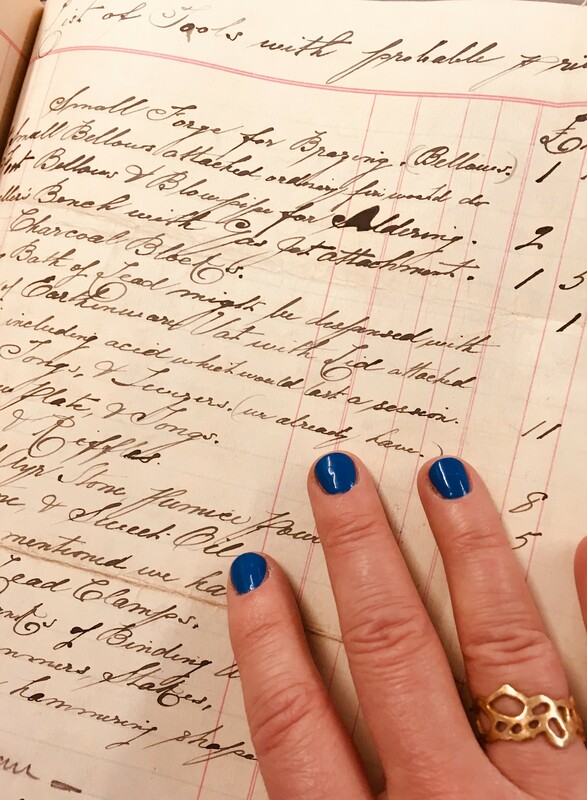 The records of our plaster cast collection have attracted a great deal of attention recently and we have been approached by a number of researchers with dynamic ideas that they have inspired. Whilst curiously peeking at this photograph-filled inventory of GSA’s property from December 1900, rich with plaster cast information, I found something tucked in at the back which immediately grabbed my attention as an ex Jewellery and Metal Design student. 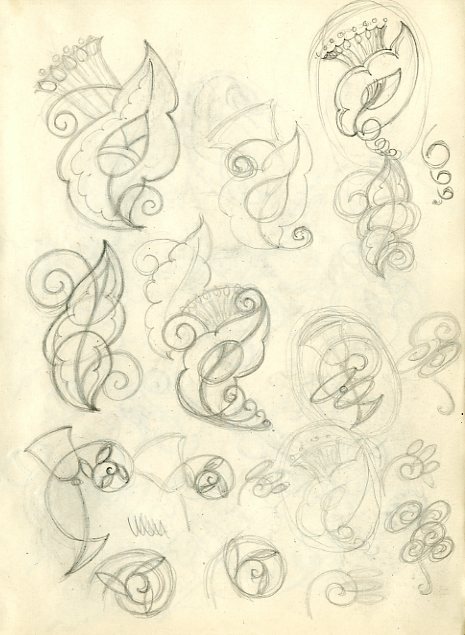 A page entitled “List of Tools with Probable Prices” detailing materials needed for the Silversmithing and Jewellery (S&J) department in the Mackintosh building when it was only a year old! This all came to a total cost of £12.13, which would equate to £1,419.85 today according to This is Money! Although most of the items on the list were very familiar to me, admittedly some required further research. I was particularly confused by “Bellows” before realising that this is the same instrument used to squeeze air into a fire. From this I realised that this must have been how these early students were able to produce air to combine with gas for soldering purposes. In today’s blowtorches, compressed air is used which can be adjusted to produce different flame types for different purposes. Curious to learn more, I moved to the prospectuses to look at how the S&J course was structured in 1900. Then it was simply known as “Metal Work” and came under a section of the School known as “Design and Decorative Art”. After being sufficiently trained in Drawing, Painting and Modelling, interested students were able to enter a range of design disciplines, of which Metal Work was one. At this point in time, students could make pieces in gold, silver, brass, copper and iron. Tutors included John Guthrie, and Peter Wylie Davidson. Davidson is a particularly notable GSA alumnus, instructing in Metal Work, Leatherwork and Wood Carving between 1897 and 1935. He is also known for founding a metalwork and design studio in Glasgow in the 1890s and wrote a book about educational metalcraft in 1927. GSA continue to recognise his place in the School’s history by awarding the P. Wylie Davidson prize to a Silversmithing and Jewellery student each year. You can read more about this in a previous blog post here. The Archives and Collections have acquired several pieces of S&J student work as a result of this prize. We also hold several pieces of work made by Davidson himself which you can see above. Fancy donating your GSA S&J student work to us? 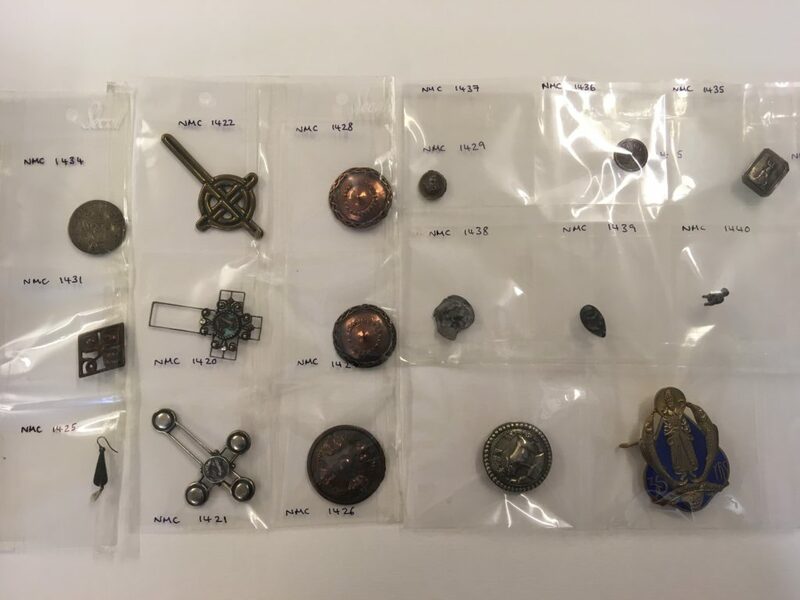 Although we have a selection of material related to Silversmithing and Jewellery in our collection, we are always interested in collecting more. Contact us at archives@gsa.ac.uk if you would like to donate any items to us, they’ll be used to inspire future generations of GSA students!